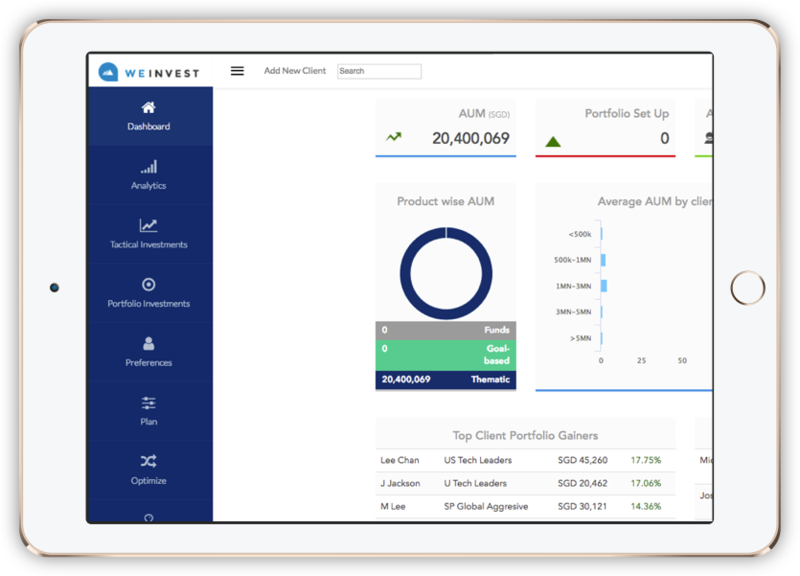 WeInvest helps institutions deliver full-suite regionally-compliant digital wealth services and investment experiences to their customers: at scale and with positive unit economics through a unique business model. Powering successful business models with comprehensive, cutting edge, and customised platforms. WeInvest is Asia’s leading and proven digital wealth service provider. Operational since 2015, we are headquartered in Singapore, with a growing presence in Malaysia, Indonesia, Dubai, Hong Kong, India and China. your customers. We’ll work with you to create end-to-end experiences tailored to your unique needs. Digitise your wealth business and stay at the top of your game, without breaking a sweat. 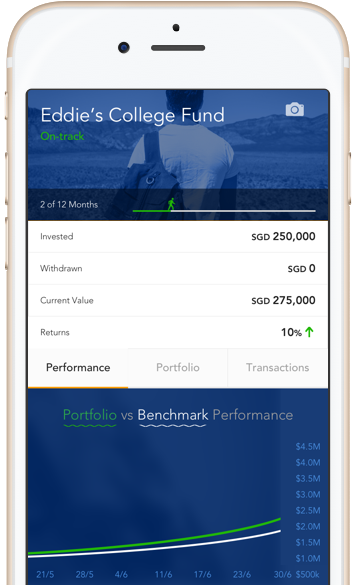 Enable your clients to aggregate and track their finances in a simple and secure platform. Goal-based and thematic investing journeys for your underserved or self-directed clients. Empower your relationship managers to engage, service and sell better. Engage clients better by enabling them to consolidate multiple accounts in one place, to get a holistic picture of their wealth. Derive data-driven customer insights and capitalise on cross-sell opportunities. Stay ahead of the curve by activating and engaging your underserved customers through the Do-it-Yourself advisory platform within 3-6 months. Differentiate your offering with Risk-based, Goal-based, or Thematic Investing journeys. Deliver a holistic picture to your relationship managers and advisors about their clients, so that they can service clients across their life-cycle of needs. This spans portfolio analysis, goal-setting, profiling, portfolio recommendations and planning, optimisation and execution oversight. Front to back digital journey covering online onboarding, custom user journeys, multiple asset classes coupled with an extensive back office. End to end deployment in 3-6 months. Custom built and bespoke to meet your institutions. Choose from Platform-As-A-Service, SAAS or Enterprise deployed models depending on your institution’s preferences. Think we can help you? Get in touch with us!